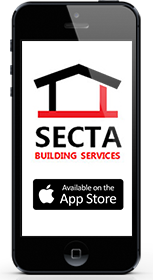 Secta Building Services has a team of multi-skilled handymen to carry out all types of electrical works. From light fittings to making broadband connections, from alarm installations to intercoms and access controls. Having access to the latest technology we can ensure your premise is safe and secure. Intercoms and Access control Installation.